We went for a 5km hike through the Pretoria Zoo. Afterwards, we decided to spend some time at the zoo. Great photo! 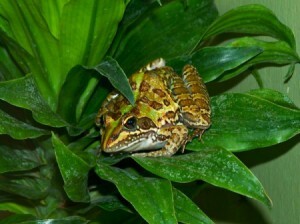 I like frogs - I think they're cute! I voted for this - Good Luck! Thanks for the sweet feedback!